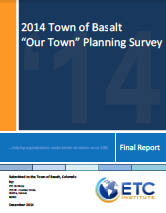 The Town of Basalt received maps and held chat sessions through May 28, 2014. Over 600 people participated in the discussion – with more than 300 drawings submitted – translating into more than 3,000 ideas (that’s ten ideas per drawing!). There were 181 drawings displayed at “Clasen Corner” alone. The “Our Town” discussions included everybody from first-graders to octogenarians. 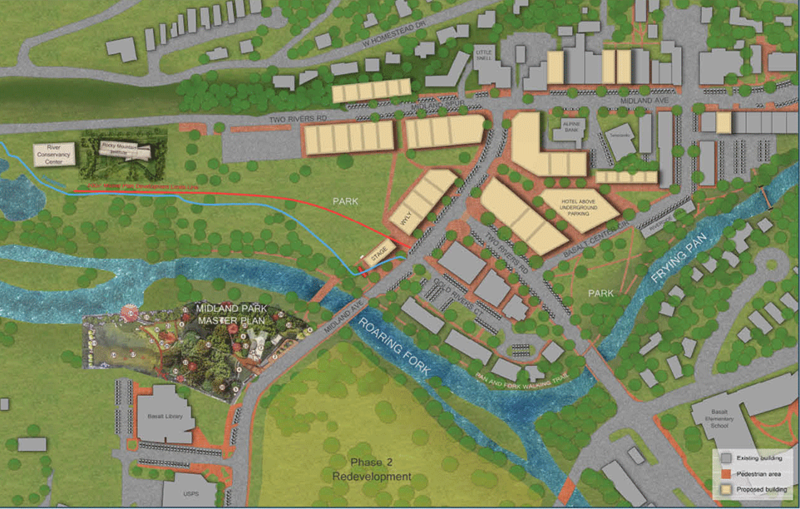 People across all parts of our community have contributed and we estimate the pro-bono work contributed by Architects and other Design professionals at more than $100,000. We’ve heard from them all. It’s what we like to call “participative democracy.” The 3,000 ideas that were generated by the community have been synthesized into Three Alternative Site Plans. 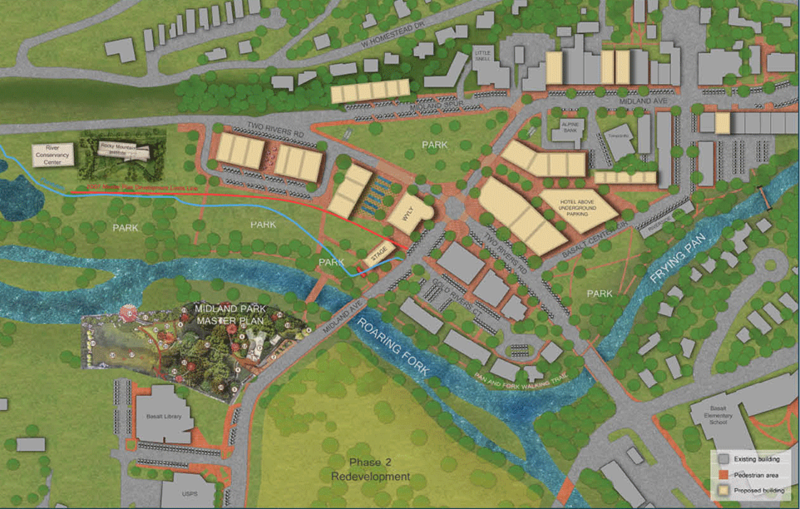 The next step is for the community to vote for which one represents what they would like to see in Downtown Basalt. Town of Basalt accepted ballots through Monday, June 23rd. Anyone of any age may vote, but you must answer all of the questions in order for your ballot to count. YouthEntity participants: Gus Anderson, Lindsay Hoffman, Devin Williams, Jacqui Hendriquez. Basalt High School Students Stina Peterson and Mackenzie Heard.